McClendon’s Select is excited to welcome Rancho Pinot Chef Chrysa Robertson to our Saturday Old Town Farmers Market this week. 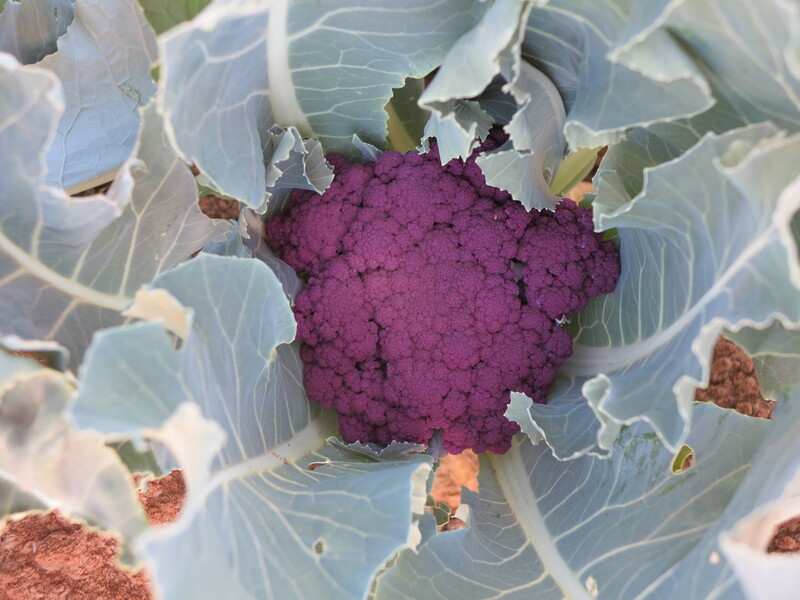 She will be preparing and sampling a roasted multi-colored cauliflower with toasted Noble bread crumbs, crispy capers, Meyer lemon and green garlic. Make sure to stop and try a sample. She did a Marinated Grilled Butternut Squash at the Old Town market in October that earned rave review. You can find that recipe here. Make sure to get there early as the samples are likely to go fast. We still have our normal schedule at the Old Town Scottsdale Market and Noble Bread will be with us as well. See you Saturday! On the Southwest corner of First Street and Brown, one block east of Scottsdale Road and two blocks south of Indian School Road.